Happy Bloggers Challenge Friday! Sorry about my hiatus lately, life got a little busy, and my crafting got put on hold! Thanks to those who played along with the Flowers Challenge, the challenge this week is Howl at the Moon (open to your interpretation). 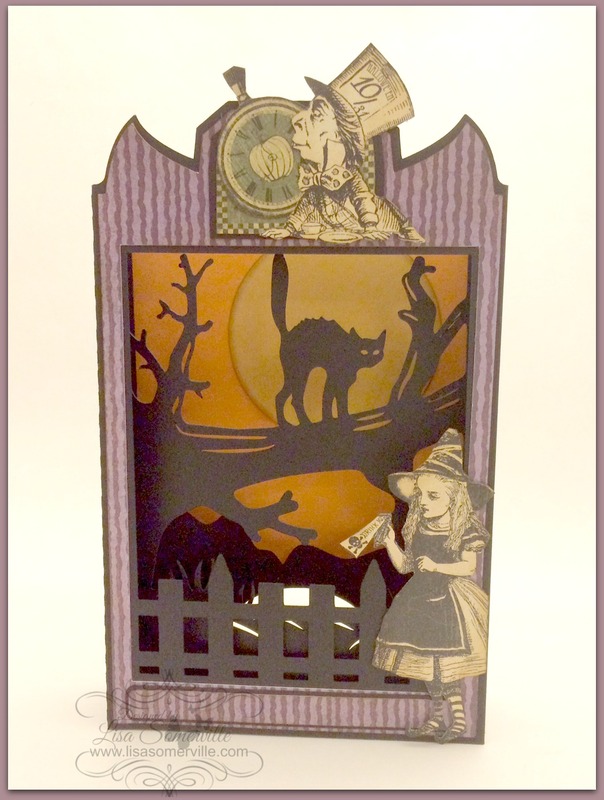 I created Halloween Paperscape Box using the Black Cat Halloween Paperscape Box Card from Dreaming Tree. They have some fabulous kits you can use with your electronic die cutting machines. 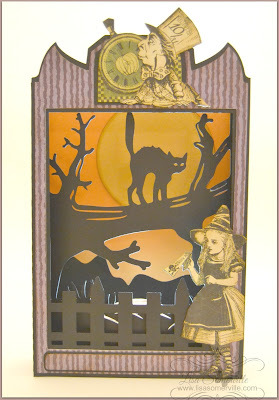 The Black Cat Halloween Paperscape Box Card also comes in a BUNDLE with two other Paperscape Halloween Box Cards! I used paper from Graphic45 to decorate my Paperscape Box. There's a cut out in the back of the box where you can add a battery operated tea light, and the box even folds flat so you can mail it! This box went together super quick, after cutting the files with the Silhouette, I simply added a bit of sponging and the cut out pieces from the pattern paper, then adhered all my panels with Scor-Tape. 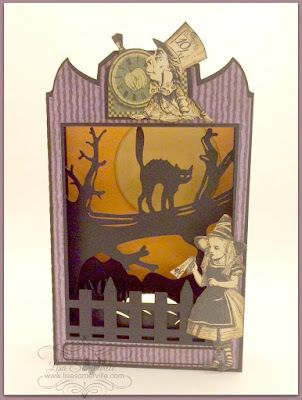 If you would like to play along with this weeks Bloggers Challenge, please link back to this post on your blog and mention you created your card for the Bloggers Challenge Howl at the Moon Challenge. Please add your link using the Link Tool below, your link should be a direct link to your Bloggers Challenge Post, use your name as the Title. Please do not link to cards that were created prior to the challenge date. Entries not linking properly, or backlinked will be removed. If you have the captcha enabled on your blog, please consider turning it off, as it makes it so much easier to leave comments. Just love this! What a great little gift too!